While this picture was from some time ago and my son is not at this point yet. These last days of the school year is finally here. Summertime awaits. During these last days of school, there will be finals, parties and graduations. 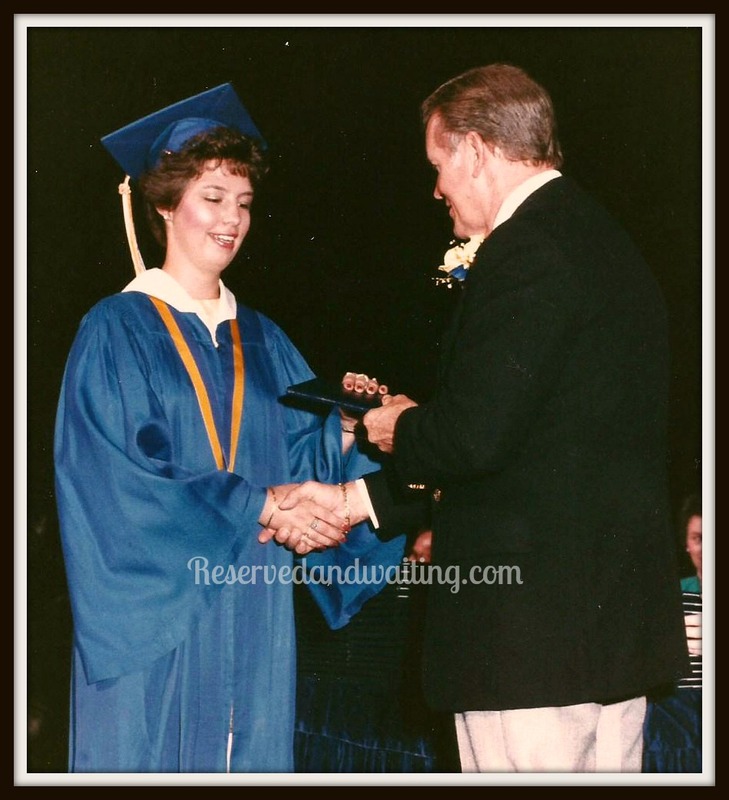 What advise would you give to those graduating? Aim high! Shoot for the stars! You can achieve anything you set your mind to achieve! Are a few things that I heard. 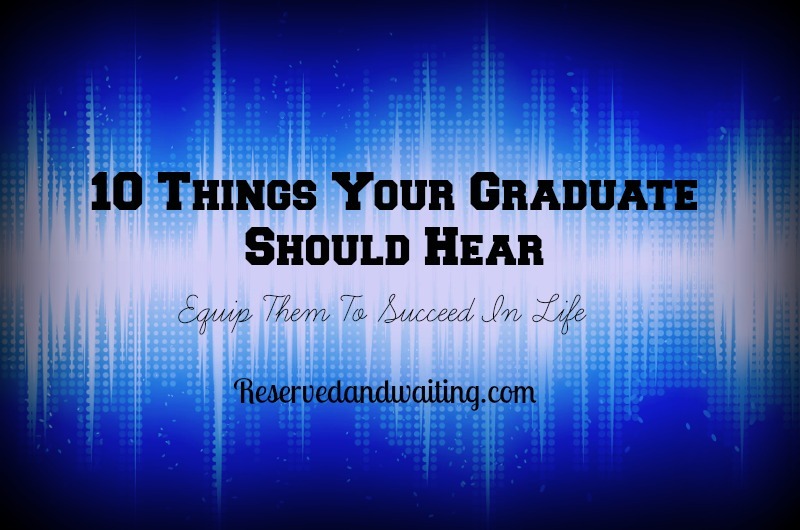 I encourage you to share these ten things your graduate should hear, they are based from the wise son of David, Solomon. Priorities – “The fear of the Lord is the beginning of knowledge, but fools despise wisdom and instruction.” Proverbs 1:7 In order to succeed in life, we have to choose what our priorities are going to be. Life is full of choices and to make the best choice for our life that is in line with what God has planned for us. We need to make Him top priority in our life. Their choices are going to reflect where their priorities lie. Decision Making – “Trust in the Lord with all your heart, And lean not on your own understanding; 6 In all your ways acknowledge Him, And He shall direct[a] your paths.” Proverbs 3:5-6 Before we make any decisions, we should seek the will of God over blindly following our feelings. There are consequences for all decisions we make. But when we take the time to rest and wait upon the Lord, He will make clear to us the correct decision to make. Self Discipline – “Ponder the path of your feet, And let all your ways be established. 27 Do not turn to the right or the left; Remove your foot from evil.” Proverbs 4:26-27 Train yourself to stay on the path that the Lord has set forth for you. Conducting yourself in a manner that pleases God not-self and others. Words – “The mouth of the righteous brings forth wisdom, But the perverse tongue will be cut out. 32 The lips of the righteous know what is acceptable, But the mouth of the wicked what is perverse.” Proverbs 10:31-32 Choose your words wisely, they can build up and they can tear down. They can make you look a fool or they can prove your character and wisdom. Advice – “Where there is no counsel, the people fall; But in the multitude of counselors there is safety.” Proverbs 11:14 We are not to live this life alone and when we need help, you should seek out counsel. The counsel you should seek should come from a godly counselor, like your parent, pastor or mentor. Ambition – “Hope deferred makes the heart-sick, But when the desire comes, it is a tree of life.” Proverbs 13:12 Have a desire to do something passionately and for the glory of God. Your ambition can be working hard, for others, doing the little things and growing your quality of honor. Influence – “A violent man entices his neighbor, And leads him in a way that is not good.” Proverbs 16:29 Your influence in life can lead other astray or it can strengthen them. You can do that by being true to your word, choose friends that right for you and walk the walk that you talk. Realize that there are those who will take advantage of your good character. Then learn how and when to say “no”. Trials – “The refining pot is for silver and the furnace for gold, But the Lord tests the hearts.” Proverbs 17:3 Trials are going to come in life. There is nothing you can do to stop them. How you go through trials decides how deep the scar will be that it leaves. Decide now that your going to go through them with your arms held open wide towards God. The trials of life can build character, a deeper growth in God and so much more. Integrity – “The righteous man walks in his integrity; His children are blessed after him.” Proverbs 20:7 Your integrity once damaged or destroyed can take a lifetime to rebuild. Hold on to your integrity as a precious gift. Your integrity is built by your honesty, your convictions, your dependability and your good manners. God’s Word – “Every word of God is pure; He is a shield to those who put their trust in Him.” Proverbs 30:5 God will never leave you or forsake those whom He loves. The Bible is God’s Word. The Bible is your life source for everything you need. Trusting God and believing His Word is His shield for your life. Above all pray daily over them and trust that God will work in their life. Congratulations to Mary Grace! I have found that to be true in my life as well, the older I get the more I talk to Him.